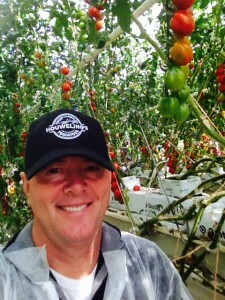 In 2012 when our company went through the transformation from Houweling’s Hot House to Houweling’s Tomatoes we developed our current logo, incorporating our new company slogan “MASTERY UNDER GLASS” and my signature. 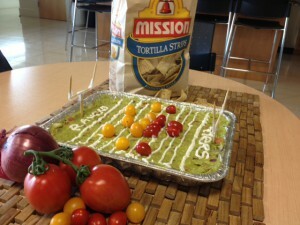 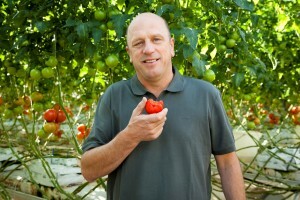 These elements were included in the design to represent my personal commitment and expectations for the tomatoes and cucumbers that bear my family name. 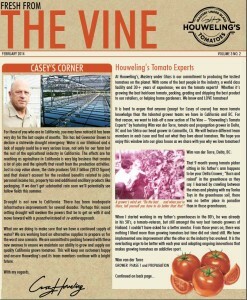 The February issue of “The Vine” brings us a new addition “Houweling’s Tomato Experts.” Each month, we will feature different team members to find out what they love about tomatoes. 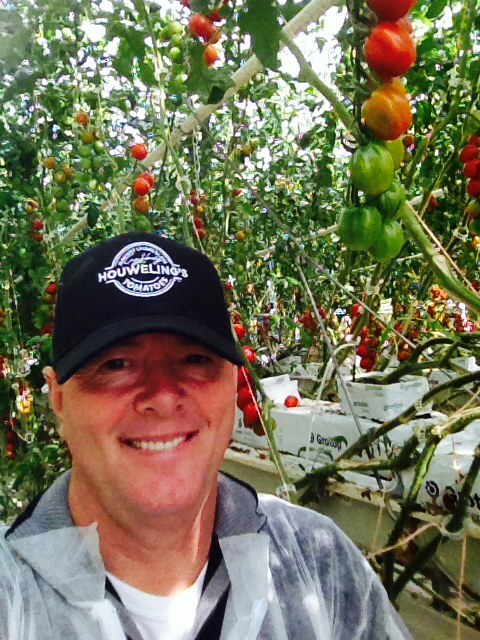 This month we are highlighting Wim van der Torre, tomato and propagation grower in Delta, BC and Ion Sfetcu our head grower in Camarillo, CA.